It is true that Cloud Computing has allowed us to drive more functionality out of our daily I.T processes. Whether hosting a website, employing virtual infrastructures and software in our work station, or accessing personal data centers to view our massive storage on the fly, Cloud Computing has alleviated us through its feature rich environment. Today, Android Smartphones and Tablets have made it easy for us to come in contact with the online world. Online Businesses have also found Android Smartphones as a prolific opportunity to market their products and businesses to the masses particularly smart phone users. This being said, Various Cloud Computing providers too, have put segments of their services to be used by Android Smart Phone users. 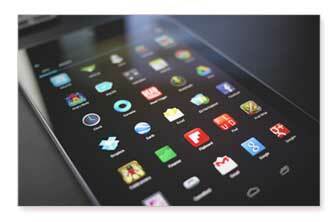 These Android Cloud apps provide users with extensive features to be utilized through Android Smartphones. This year among various Cloud applications, Cloud storage applications for Android particularly, received an enthusiastic reception from the people. These versatile Android Cloud apps, provide users a large amount of online memory which they can then use to store, sync, stream, or retrieve their data via their Android Smartphones. Some of these Android Cloud Storage apps are even capable of syncing all the data on your PC so that you can access it later through your phone on-the-go. Here, in this post, we have put together some of the most popular Android Cloud Storage Apps in our Top Ten Android Cloud Apps list. After listing the best Android Cloud Apps – Let’s now add some information about the most popular Android Cloud Storage App, available in the market along with their excellent features to roll on with. Google Drive has been one of the most popular Android Cloud App in 2012 and seems to be picking up steam in 2013. Google Drive provides you a full suite to create and manage documents, presentations and files on the Cloud. Users also have massive storage at their disposal where they can easily store their data. You can easily download Google drive from Android Cloud app store and configure it on your personal Android Cloud App device. Dropbox has a thriving community of 45 million users. It is a very popular free Cloud storage service app around the world. Dropbox offers users a memory limit of 2 GB on its free account, and with every new member that joins Dropbox through your referral, gets you 250 MB more. Dropbox lets you store files, documents, pictures, videos, songs and also share them easily. You can use Dropbox on windows, Mac, Linux or any other smart phone. SkyDrive has also been generating massive waves of popularity. Users can store a multitude of files, documents, songs and video streams in its relatively large memory of 25 GB. This is what SkyDrive provides an Android Cloud app user for free, however, individual file size is limited to 100 MB. Users also have the ability to work on Word, Excel and PowerPoint online while being on SkyDrive. Users can access SkyDrive on their PC, Mac or Android phone. JustCloud provides an easy way to store files and data on the Cloud. With JustCloud, you can bring your files on the go to your Android phone or Tablet which are then easy to view, edit, store and sync with all of your devices. JustCloud also lets you easily stream your favorite music and videos. SugarSync puts your computer’s entire data at your fingertips by syncing it with your Android phone. With SugarSync, you get free Cloud storage of 5 GB, which you can use to backup your data, sync files, share folders, and access it at any time, from anywhere. You also get a bonus of 500 MB, each time any new member subscribes to SugarSync through your referral link. Syncplicity is a highly functional tool that allows you to keep all of your valuable data, files, and documents in one place. Syncplicity allows that data to be synced so that you can have access to it from any server, computer, device, phone or a Cloud application. The data is always backed up, synched and easily shareable via a 2 GB of space that is offered to you for free. This smart Android Cloud app lets you take your files, documents, photos, videos and more with you where ever you go, not as in portable devices but as in highly available Cloud storage which you can access from anywhere through the internet. In Ubuntu One, you get to use a basic 5 GB of storage on a free account. This app also facilitates you by storing all of your photographs you take from your Android phone as a backup, giving you peace of mind that all of your snaps are safe. OpenDrive is another proficient Cloud storage app that gives you a 5 GB of free space, which you can use to store, view, share, and collaborate your documents. OpenDrive gives you an access to all of your files, photos, docs, video from everywhere via your Android phone. OpenDrive can also automatically sync the data on your computer with your Android Cloud app phone. SpiderOak allows you to have an easy and secure Synchronization, backup and sharing to access all of your files anywhere from the world. The SpiderOak Android cloud app lets you use a 2 GB of space as a free user. You can also use your own and other Share rooms on Spider Oak to share files, music and videos. ZumoDrive Is an efficient Android cloud storage app that lets you bring all of your photos, documents and other files on your Android phone. Users also have the ability to sync their iTunes playlist on their phones from PCs. Once downloaded, ZumoDrive lets you use 2 GB of free space. The powerful Android Cloud Apps have revolutionized the way you save and retrieve your precious data, snaps or your favorite streams. These apps allow you to have an added memory besides the one already on your Android phone, however, your Cloud storage memory is accessible every time you log into your Android cloud app. So what are you waiting for? Get ahead in the collaboration environment through Android cloud app. Download the best Android Cloud apps on your Smartphone today.